When we are feeling sick, it can be hard to determine how our symptoms are related. For example, if you have a stomach bug and spend a night vomiting, you could wake up the next morning with a sore throat and lower back pain, two symptoms that don’t typically go together. These symptoms aren’t necessarily due to a medical condition. Vomiting can make your throat raw and sore and leaning over a toilet could cause you to have lower back pain. Even dry air and sleeping in an uncomfortable position could cause these symptoms. However, sometimes two seemingly unrelated symptoms can be caused by an illness and should be checked out by a medical professional. 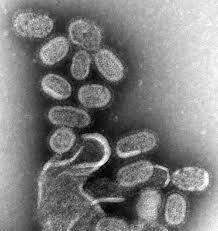 Influenza (the flu). The flu is a contagious respiratory illness that typically affects the throat, nose, and lungs. However, the flu can affect other parts of the body as well. Body and muscle aches, commonly in the back, arms, or legs, can also be caused by the flu. STIs. In some cases, a sexually transmitted infection such as gonorrhea or chlamydia could be to blame for your symptoms. STIs can cause pelvic infections which can result in lower back pain, and orally contracted STIs often result in a sore throat as well as other symptoms. If you have a sore throat with lower back pain that don’t get better after a couple of days, the best thing you can do is visit your local FastMed Urgent Care and talk to one of our caring medical professionals about your symptoms. We provide flu and STI tests on-site as well as other types of testing, such as lab work and x-rays, that can help us determine the cause of your symptoms and have you feeling better in no time at all!